I have worked with National Sports Services since 2003. The principals of the firm - Matt Perry and Bill Davidson - have tremendous experience and expertise regarding the operations of minor league sports franchises. Bill spearheaded the launch of the Stockton Thunder franchise in January 2005 by developing and executing the business plan leading to a very successful inaugural season. He continued to provide day to day supervision of the organization until I recently sold the team. Based on my experience in Stockton, I engaged Bill to assist with due diligence and financial projections prior to my purchase of the Harrisburg Senators. Since my partners and I purchased the Senators, Bill has been actively involved in managing all phases of the operation including assisting with stadium design elements, budgeting, sales and marketing. I've enjoyed a very successful partnership with NSS over the past seven years. Michael Reinsdorf - Managing Member, Mercantile Capital Group, L.L.C. I’ve known Matt Perry for five years. We had the opportunity to work closely in taking an idea for a multi-purpose stadium through all facets of planning, programming, budgeting, construction and operations. The result has been the construction and opening of All Pro Freight Stadium in 2009, a beautiful facility located adjacent to Interstate 90 in Avon, Ohio. The Stadium is home to the Lake Erie Crushers team in the Frontier League, the Cleveland State Vikings D-1 baseball program, high school baseball, tournaments, concerts, charity runs, and more. The City of Avon is very proud of All Pro Freight Stadium and the success of the Crushers. We’re also appreciative of the close relationship we’ve developed with Matt and his firm. They are extremely knowledgeable about team operations, stadium development and stadium operations. The Crushers and All Pro Freight Stadium have realized the vision we charted several years ago and I wouldn’t hesitate to recommend Matt and National Sports Services to other municipalities and/or developers who are interested in constructing a multi-use facility and attracting professional baseball to their region. I have known Bill Davidson and NSS for over 14 years. I've been a partner with them through the Gwinnett Gladiators for the past 8 years. The partnership developed through a mutual understanding of the need for a detailed, systematic business plan. We integrated our beliefs into a specific plan for entry into a new market in Gwinnett. When the plan is combined with a goal-oriented employee base and focus on the bottom line - it leads to success and profitability. Toby Jeffreys, Majority Owner and Chairman, Gwinnett County Hockey, LLC. I have had the pleasure to work with National Sports Services in the operation of the Bakersfield Condors, a member of the West Coast Hockey League. Their understanding of franchise operations has been instrumental to the success of this organization, as well as to my growth as an administrator. By implementing programs developed in part by their firm, we have shown consistent growth in attendance, revenues and profits. We also have instilled a very thorough and systematic approach to knowing and communicating with our clients and staff. The West Coast Hockey League has honored our franchise as the Organization of the Year and Best Game Presentation. Both are a testament to National Sports Services being involved with our organization from the beginning. 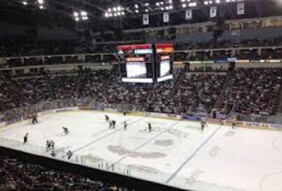 Our success, noted throughout minor league hockey, has spurred several other teams in the League to enlist the services of the firm. If you have specific problems areas, or if your entire franchise needs a fresh start, I would certainly recommend National Sports Services.